A couple of Wisconsin business leaders believe America needs to learn anew about an old concept: thrift. With debt crippling many Americans and draining the economy, Bob Pedersen with Goodwill Industries of North Central Wisconsin says the poorest often turn to luck, instead of saving for the future. "The state lottery, for example," explains Pedersen. "You read the report and you begin to realize that the people that are most affected by the state lottery are the people who can least afford it." Pedersen signed on to For a New Thrift, Confronting the Debt Culture , a recent report from the Institute for American Values and other think tanks. "I don&apos;t think there&apos;s any question that we&apos;ve sort of lost the concept of thrift," says Pedersen. "The statistics that they&apos;ve surfaced in this study really indicate that people have been lured by what has become sort of an eased marketplace around debt." "We need to have better fiscal responsibility," says Ken Eiden, Jr. with Prospera Credit Union in Appleton. "We need to take responsibility for our individual spending plans (and) our use of credit." Eiden also signed on to the study, and feels the findings are urgent: "I am distributing this document to almost everybody in our industry that I come in contact with. I feel it&apos;s that important." -For the first time since the Great Depression, Americans spent more than they earned in 2005 and 2006. -Debt payments consume about 15% of the average family&apos;s income. -More than 20% of low-income families spend at least 40% of their income on debt payments. -Nearly one in seven families is dealing with a debt collector. -A public education campaign for thrift, modeled on similar campaigns to combat smoking and drunk driving. 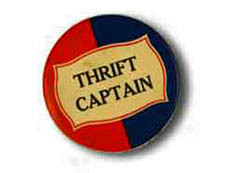 -Increased support for existing thrift institutions like credit unions. -New initiatives for low-interest loans and savings as an alternative to payday lenders. -Repurposing the state lottery to include a savings ticket feature.